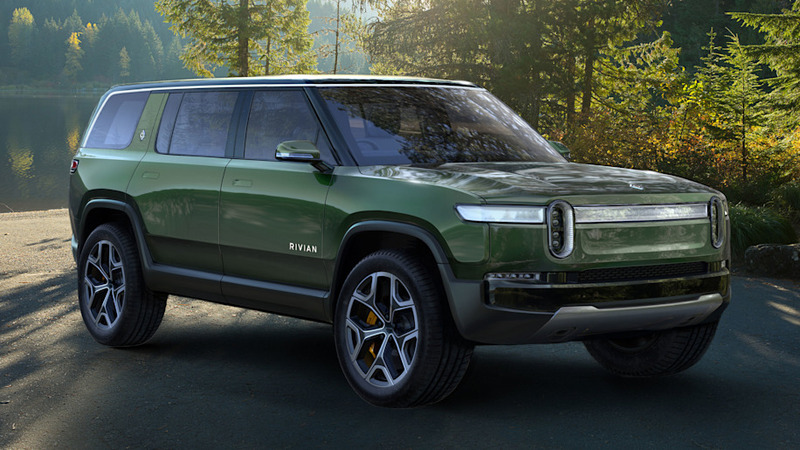 During the LA Auto Show, Electric car maker, Rivian shocked everyone with the aims of delivering two amazing off road vehicles which runs purely on electricity. While Rivian could be considered as another Tesla competitor, it’s worth noting that the two companies are by no means within the same levels in terms of finances and production. While I’ll talk more about that later, the biggest news is that the Florida company will be launching two powerful electric vehicles; the R1T which is a pick up truck and also a R1S which is a SUV. The fact that these Rivian vehicles can produce driving powers that can speed from 400 Miles Plus driving range and move from 0 – 60 within 3 – second and 11,000-pound towing capacity would all be great news if those can be true. The Rivian R1S and R1T will both offer a lot of real estates to keep your luggage while travelling be it on a long journey or short. The fact that these cars can run for a long hours without needing to be charged so often might be a great value for the money. Rivian moved to the Detroit area from Florida in 2015 and now makes its de facto headquarters, design and engineering center in a former cash-register factory in suburban Plymouth, Mich. “There was literally no sign on the building,” says Ken Shuman, chief communications officer. “We’ve got a really strong source of money, financing for the company is solid … good investors who understand motorcars and are in it for the long game, and don’t want to make a quick return and understand that putting cars into production is super difficult and costs a lot of money,” said Vinnels, who joined Rivian 13 months ago after a long stint with McLaren and, before that, Lotus Group. Vinnels talks a lot about the on- and off-road capabilities of both models, calling Rivian an “adventure brand.” Its off-road specs are bolstered by quad all-wheel drive independent electric motors, each nearly 200 horsepower, capable of delivering independent, instantaneous torque to each wheel. There’s also unequal-length double-wishbone suspension in front and multi-link suspension in the rear, with dynamic roll control, adaptive dampers and adjustable air suspension, so you can stiffen the ride for extra agility and handling on pavement. Each model will debut with Level 3 autonomous driving capabilities. Similar to Tesla, they’ll get over-the-air software updates. They’ll also have the ability to operate three apps simultaneously, and three screens, including one in the backseat for climate and infotainment. Order books are now open for a fall 2020 delivery on the R1T pickup and 2021 for the R1S. The former starts at $69,000, or $61,500 after federal EVAutobl tax credits, while the latter starts at $72,500 ($65,000), Shuman said.